Car: 1997 BA "The Red Baron"
Get cams L2S license and join a cams affiliated car club. Most clubs wont care what you drive unless its a snooty one. You can see what events different clubs hold to see what you wanna do although most clubs do a mix of events. You can also do events held by other clubs as your license is your ticket for that but clubs discount events for members. Some events require a fire extinguisher and your car gets scrutineered prior to events. Don't forget to account for cost of tyres pads fluids etc as you will go though these the more you participate. These are the ones I deal with in S.E.QLD. There is others slightly further out ie Warrick, Gympie, Maryborough etc. But as a beginner you probably wont be travelling that far. If you are gonna do sprints at say Lakeside or QR, then you dont need to do anything with CAMS clubs. You just need to purchase a AASA clubman license from Lakeside or QR. QR has a website. I was gonna get back into Khanacross this year but a few outside issues force me to hold back. Next year is the year. Iam selling my suspension and wheels to allow purchase for more khanacross friendly parts. Last edited by project.r.racing; 12-10-2013 at 09:33 AM. the come and try days are no different from the other motorkhana days. 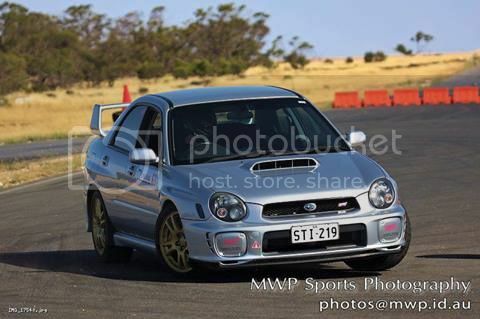 if you youtube 'hsccq motorkhana' you'll get heaps of vid showing whats going on. there some pics of me doing real bad at a motorkhana on a wet skidpan somewhere on the www. i'll pull my finger out in janurary and get a L2NS so i can do motorkhanas and khanacrosses again. if you wanna do dirt or gravel sprints at willowbank park (the dirt curcuit), then you'll need a L2S. the reason for greeting back into khanacross. Last edited by project.r.racing; 12-10-2013 at 03:48 PM. Yeah went though all the manuals and stuff, yeah thinking of the L2S. That's Tonys car which his mum owns now! lol no. motorsport is a money pit. you'll never cover your costs. That's not quite true. You just have to be good to make money of not spend your own. I don't mean just good at driving. Sponsorship - You have to SELL your self. OR your time etc. You should join a club but do try each event etc. Many think, I like this or that. Then find it's not what they thought or in some case had different ideas. especially if they don't have dedicated car for it. Or wrong dedicated car. Only way is to be crazy/good like mad mike or ken block or work in pit lane. yeah i was thinking that today, have a few go's and see how i do then if i feel i can do well then ask a few small businesses that im good friends with for a sponsorship. I'd dissagree. Yes you can get sponsorship. But it's not on the radar for 99.99% of people. Bisinesses want to see returns on their investments. They wanna see something professional. They want to be seen on TV. A beat up BA running an event that has no TV coverage will get little to nil sponsorship dollars. I'm not trying to be a killjoy. I just dont want others puting it into you head that money can be found without effort. In 8 years, I've managed to get 2 event entry fees paid for by displaying their company's decals. One is a agt forum sponsor. Look for a cams affiliated car club with a good attitude, join and pay your fee. Through the club acquire your Level 2 Speed (L2S) CAMS license. This is a bit more expensive than the Non Speed license but allows you to do pretty much any generic motorsport event in the country. Chasing sponsorship? You'll need to stand out from the crowd. You'll need a good attitude, superior knowledge of motorsport Australia and be winning or placing very high in high profile motorsport events in your class. Approach specialist workshops, tyre sellers, etc etc. It will happen if you do it right. But I agree with the above, you'll never cover costs until you go professional. Sponsorship allows you to have a tonne of fun at minimal costs. Free or at cost tyres, no labour charges at workshops, free consumables etc is what you are more likely to get. Overall just have fun, that's what it's all about. I'll never turn back! And you're a wicked driver too.... so that's saying something.